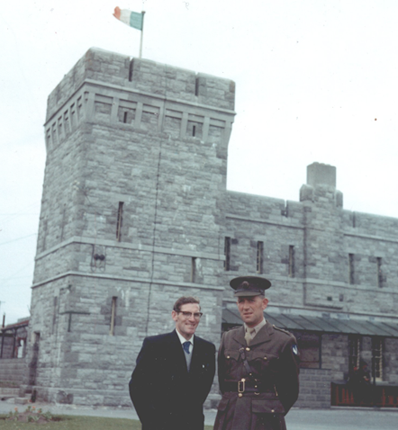 Fabian Boyle being greeted by his former commanding officer in Renmore Barracks at Galway. Fabian passed away 3rd July 2010. The family would like to invite anyone who wishes to share any fond remembrances of him to please do so using the Contact section of the site. An interview with Fabian can be found here.